Just read Ray Teagardens post about his new Toyota Land Cruiser. What a great vehicle. We considered them for here, but basically...the new Comfy SUVs just dont last long driven daily under conditions down here. My own experience has been that the MTBF ( mean time between failures) of a mechanical or electronic device is inversely proportional to its parts count. Those two are our daily rides. New house is 3.5 miles from the nearest pavement, and its bedrock, potholes and gravel. Boat is at a marina another three miles down a worse road. We dont drive on pavement much. The D90 is right hand drive, with a 5 speed and the TDi 300 turbo diesel. Its a trip to shift left handed, etc. Do you know a good source in the US for a step/tow bumper, swing away tire mount, etc? I took the spare off the "bonnet"...the ground is just too rough. 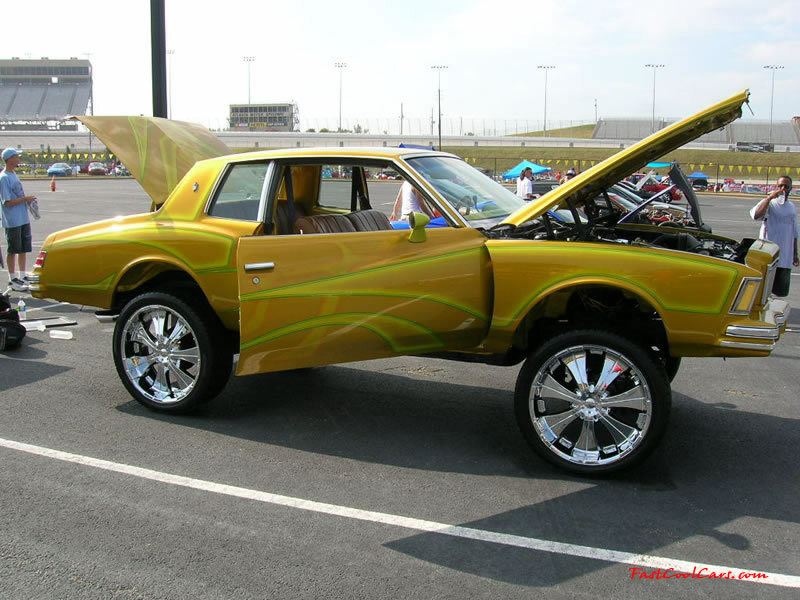 The hood flexes like a Coors Light can with all that weight on it. They look tough. Diesel too, nice. Very cool. Looks like that's definitely what you need. But what a beautiful place to live you've got there! Its pretty exciting to come around this turn in a 4 wheel drift at about 30 mph. The road rises from sea level on the right, thru 180 deg. turn around our house, up to about 70 ft. above sea level on this little hill. The ocean is just out of the photo at the bottom of the hill on the left. I realize it is none of my business, but is that your home? Is it a single? I thought you were in Key West, I don't recall having seen 'mountains' like that in the Keys or anywhere else in Florida... You're not on a landfill are ya? That's a beautiful place you got Gringo. Very nice there Gringo. And you bitchen about the cost of shipping reels. Yes, its the home we are building here. Its only a little 3 BR. We didnt need much, just the wife and I and a dog. We do have five sons between us who visit with friends from time to time. We made room for them, and for my all-important garage and workshop ( the blocky building on the right). The little hill is solid limestone for the most part, That road is cut into it. The house sits on bedrock, and I designed it to be pretty solid. its surrounded by water except for the single road in and out. I am not in the keys...I am in the Turks and Caicos Islands. Thanks, we like it. Its getting done slowly, but built really solid. Overkill, in fact. Broke ground in Feb this year, and that photo was taken yesterday. Hoping to be moved in by Christmas. Going to sink a seawater well down the hill and pump up ocean water for a seawater pool and a RO system, next. Once I can make our own fresh water, we can turn that hill into a pretty lush place. I am not in the keys...I am in the Turks and Caicos Islands. Make up your mind...which is it? I know you have ties in the Houston area from previous posts. I've been looking for a replacement for my F-150 that the locals can't beat up anymore and found a couple of places around Houston. You might find a shop that can build what you want or modify something they already have made. For that matter, you may be able to have it built on the island cheaper once you figure in labor and freight. I know I've seen something like what you are looking for on the back of a Hummer, could be another starting point. And now I'll repeat what others have said, nice looking place! Hey Ringleader, COOL looking SUV. How do those rims hold up offroad? Photography is a hobby of mine. I have thousands of pix of this place, taken in the past four years. But after awhile they all start looking the same to me, so I have tapered off lately. Sunsets, beaches, clear water, underwater, boats...fish...etc. etc. if you are serious, and others wouldnt object, maybe a seperate thread, post a photo a day? I dunno. I know people in cold climates like some of the tropical scenes in the winter. I can do that, if you want. Someone will inevitably object, but flock 'em. Start it in the Photos Forum, and post a sh!tload, at least to begin with. If anyone objects, well, I'll flock 'em. Al , ya gonna take them to a Christmas tree lot to get that flocking done or do ya want my whip so you can flog'em. What I would really be interested in is what the cost of construction and construction methods in the TCI.